With a unique program focus on regulatory affairs the medical technology industry, the Regulatory Affairs and Services program is designed to help you become skilled in regulatory knowledge for the Minnesota medtech industry. Designed by industry experts, the program provides extensive knowledge and skills in a convenient setting at St. Cloud State at Plymouth or synchronously online through an Adobe Connect Internet connection. All courses are taught by regulatory leaders with extensive practical experience working for medical device companies. 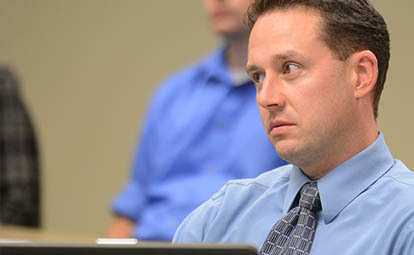 Choose a part-time or full-time master’s program or earn a graduate certificate. You can also choose to take courses on an individual basis. For information about independent course application, visit the Requirements and Details page. Why Regulatory Affairs & Services? This is the only master's program in the United States focusing on regulation of medical devices. The program provides greater depth than other programs that also cover pharmaceutical and biologic regulations. If you're looking for a general introduction to the field of medtech regulation, check out our Medical Device Regulation graduate certificate program.